Who doesn’t love a donut? Soft pillowy fried dough with a blanket of creamy frosting. Mmmmmm. But what we can all live without is the fat, calories and the lump it leaves in your stomach after eating it. 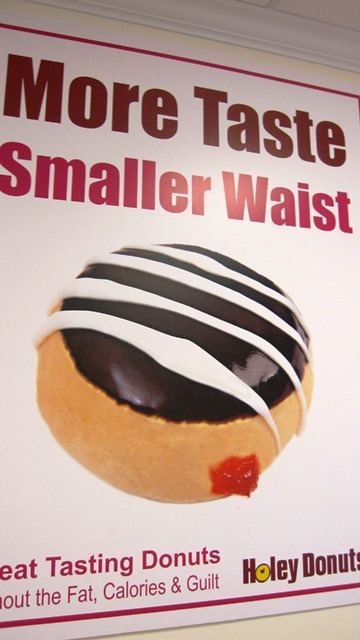 What if we told you that we found a guilt free delicious donut and they now have a store in NYC? Your prayers have been answered. 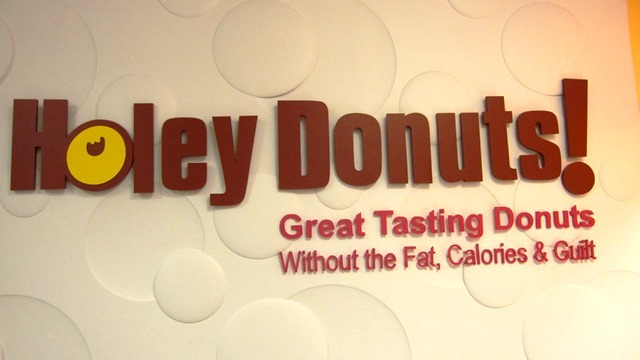 Holey Donuts is the brainchild of Frank DiLullo, who grew up the in the donut business. His Father, was one of the first franchise owners in Dunkin Donuts and Frank, himself, later became a franchise owner. Playing around in the kitchen, he thought can he make a donut that has less fat and calories than the standard deep fried donut he was selling in his shop/ After countless hours in the kitchen, he tasted his creation and said; “HOLY S@#!T…THAT’S A GOOD DONUT.” And thus began Holey Donuts. Since the inception, the only way to purchase these guilt free donuts was online. They have built quite a following through their web presence. The donuts are shipped to you frozen. Just thaw and serve. 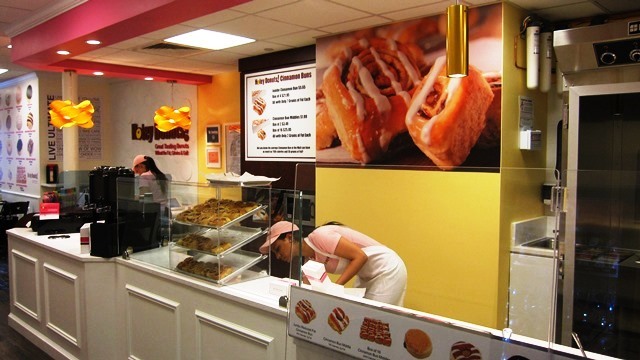 But his dream was to have a brick & mortar store, so that his patrons could see first hand, how these donuts are prepared. Guess what? Frank’s dream has come true. The first Holey Donut store is opening in NYC at 101 7th Ave South in the heart of the West Village and they’re hosting a 3 day event just for you. To get a FREE TIX to this event on Friday May 2nd and or Saturday May 3rd (Thursday is already sold out) email INFO@HOLEYDONUTS.NET with TIX TO GUEST LIST posted in Subject. They will email you, your golden ticket (which you must bring to gain access). You’ll get to sample donuts, get a free tote and $15 credit towards your next purchase. GET YOUR TIX!!! These donuts are hand rolled, hand cut and cooked in their facility in Brooklyn and then shipped to the store frozen. They don’t sit out on display and are frosted and filled in the store. So they’re always fresh and always warm. Their 22 steps cooking process, prevents them from being deep fried. So less fat, less calories, but not less taste. 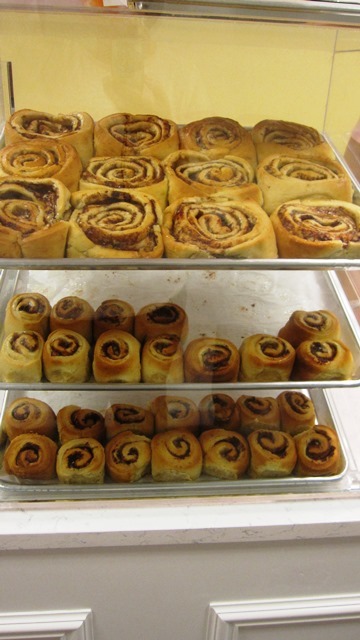 If donuts aren’t for you, try their Cinnamon Buns. They’re to die for!!! Can’t eat the whole thing? They sell cinnamon bun centers, because after all, the center is the best part and only 7 grams of fat. Their “simple coffee” is free trade and not flavored. Just simple coffee. They also serve high quality tea, Raaw Juice and Live Ultimate Iced Tea . To keep with the “Green” theme, they don’t accept cash. CREDIT CARDS ONLY! For hygiene reasons only. 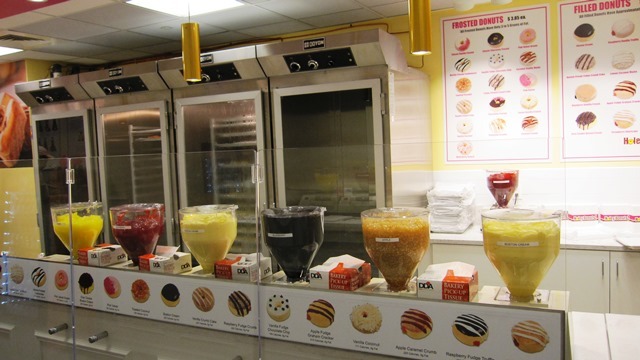 So get your ‘GOLDEN TICKET” to their GRAND OPENING FESTIVITIES and get on the HOLEY DONUT craze. 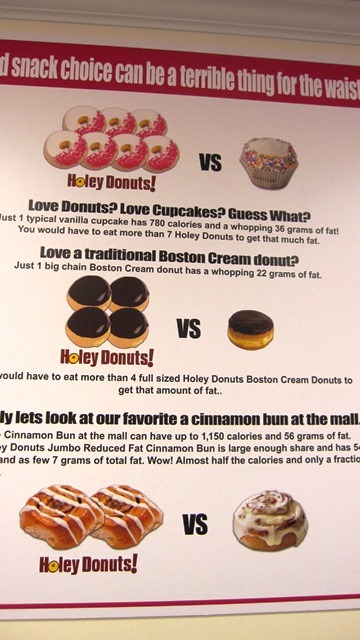 What did Cheapeats think of their donuts? It’s not polite to speak with your mouth full. This entry was posted by Rosemarie on Wednesday, April 30th, 2014 at 6:45 pm	and is filed under Bakery, Dessert, Events, Manhattan, West Village. You can follow any responses to this entry through the RSS 2.0 feed. You can leave a response, or trackback from your own site.